Google+ after launching recently created a lot of buzz around. Since it is still in development phase, lot many features will be added to it sooner or later. They will not be available to all instantly but will be tested by some users and then will be rolled out to all. Would you like to be one to preview the latest updates to the Google+ platform before they are launched to the general public? 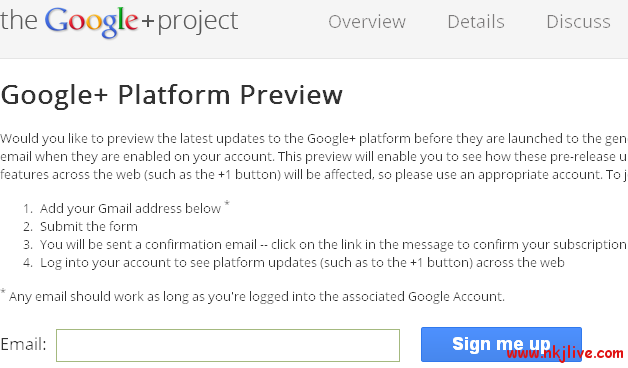 If yes, you can join the Platform preview team here: www.google.com/+/learnmore/platform-preview using the email thru which you login to Google+. New features will be announced to you via email when they are enabled on your account. This preview will enable you to see how these pre-release updates will affect your site. To join the preview. I am sure you wouldn’t have seen this in +1 button: Visibility of people in your circle +1’d any particular link.